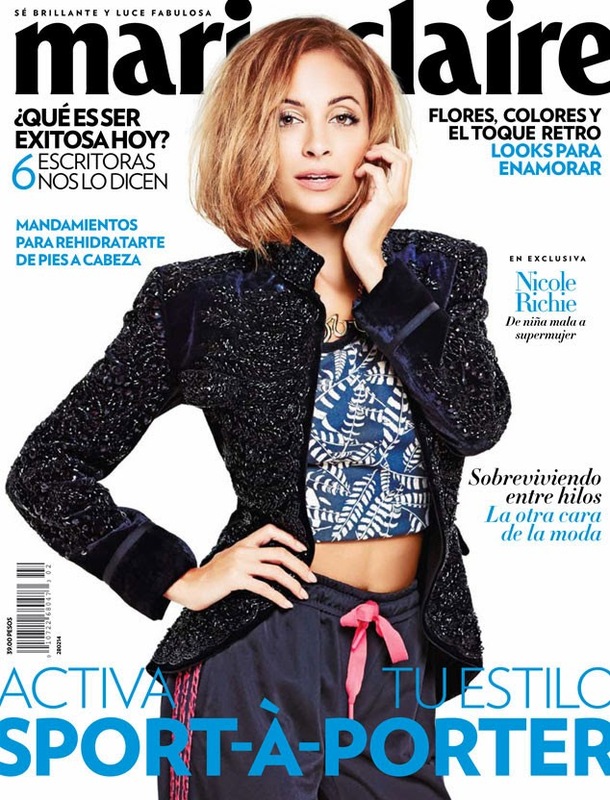 Nicole Richie looks fabulous on the February 2014 issue of Marie Claire Mexico. In the issue Nicole opens up about her experience shooting The Simple Life with then-BFF Paris Hilton and how it shaped who she is now. "I had already traveled a lot around my country and abroad, but I had never experienced America quite like when we were doing the show, Before that, my whole world was between Los Angeles, Miami, New York, Alabama and Atlanta, where my parents come from, and I was also familiar with some of the southern ways and customs, but being in the central states was something completely new to us. Traveling is essential because it helps you grow. Learning about different cultures and beliefs is a wonderful process." Nicole was asked whether the onscreen chemistry they shared translated to a good time behind the scenes, Richie said that there really wasn't any "behind the scenes" action, per se. "We were filmed 24/7: in the bedroom, in the car, in the living room," she recalled. "That was the most interesting part about The Simple Life, because it was intended to show what we were experiencing in the most truthful way. This changed later on, but at the beginning it was reality at its finest." When asked if she was still friends with Paris Hilton; "Paris has been part of my life since I was 2 years old," Richie explained. "There's a strong friendship between our families and we'll always know each other." Life has simply moved on for Richie, 32, who's now a parent to 6-year-old daughter Harlow and 4-year-old son Sparrow with hubby Joel Madden. "Motherhood makes you way more conscious of how you distribute your spare time," the House of Harlow designer, who modeled a variety of eclectic looks for her Marie Claire shoot, said. "Kids are so precious that your priorities change completely." Talking about how she manages to balance business and family, Richie said she shares that conundrum with women the world over. "I think that's a global struggle and we, all women, are constantly trying to find a solution," she said. "I'm like any other working mother trying to make things work and dealing with this situation one day at a time. I have an amazing family and they've all been very supportive, my parents live only ten minutes away and my husband and his twin brother help me when I need it."